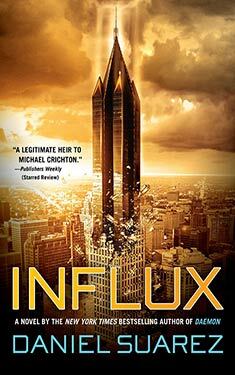 If you liked Influx you might like these books. Are smart phones really humanity's most significant innovation since the moon landings? Or can something else explain why the bold visions of the 20th century - fusion power, genetic enhancements, artificial intelligence, cures for common disease, extended human life, and a host of other world-changing advances - have remained beyond our grasp? Why has the high-tech future that seemed imminent in the 1960's failed to arrive? Perhaps it did arrive... but only for a select few. Particle physicist Jon Grady is ecstatic when his team achieves what they've been working toward for years: a device that can reflect gravity. Their research will revolutionize the field of physics - the crowning achievement of a career. Grady expects widespread acclaim for his entire team. The Nobel. Instead, his lab is locked down by a shadowy organization whose mission is to prevent at all costs the social upheaval sudden technological advances bring. This Bureau of Technology Control uses the advanced technologies they have harvested over the decades to fulfill their mission.